TJ Hughes, the ‘big brands, big bargains’ retailer, is opening a new store in Dundee tomorrow, creating 60 jobs and promising hundreds of bargains, including vouchers for the first customers through its doors. The opening is part of the discount giant’s expansion into Scotland where four new stores, including Dundee, will open this Autumn as TJ’s continues to buck the high street gloom hitting other retailers. The Dundee store will also be the first in the TJ Hughes portfolio to offer Smart Foods, a convenience store which will launch shortly after the store opening. Smart Foods will stock a full range of foods including fresh, frozen and ambient at excellent prices. The company, which specialises in offering Britain’s best-loved brands with up to a staggering 70% discount, all day, every day, will open a 26,000 sq. feet store in Wellgate at 10am on Thursday 18th October. “We’re really excited to open a new store in Dundee so local shoppers can enjoy our hugely popular big brands across homeware, leisure and fashion, all at a fraction of their original cost,” said TJ Hughes CEO Anil Juneja. TJ Hughes announced earlier this year that it is partnering with a range of exciting new concessions, including French Connection, Regatta, Bassini, Just Elegance, Solo and Classic, cementing its success and bucking the trend in a volatile retail sector, which will also be in the new Dundee store. To celebrate the opening at 10am, they will be giving vouchers worth from £5 to £50 for the first 31 customers through the doors. TJ Hughes will also have a selection of unbeatable bargains as well as its normal discounts of up to 70% off big brands. “We want to celebrate with the people of Dundee which is why we’re rewarding our first 31 customers with vouchers and will be offering unbeatable big brand bargains throughout opening week. So come and join in the fun with us at TJ Hughes Dundee,” added Anil. TJ Hughes was established in Liverpool in 1912 and has been bringing brand bargains to tens of thousands of Brits for over a century. Its winning formula is to offer big brands at discounted prices meaning that customers are able to get the products they want at a price they like. TJ Hughes specialises in home and fashion, fragrance and cosmetics, technology and electrical goods as well as children’s clothing and toys. In fact, it offers everything that shoppers would expect to find in a quality department store, but with up to 70% off all day, every day. 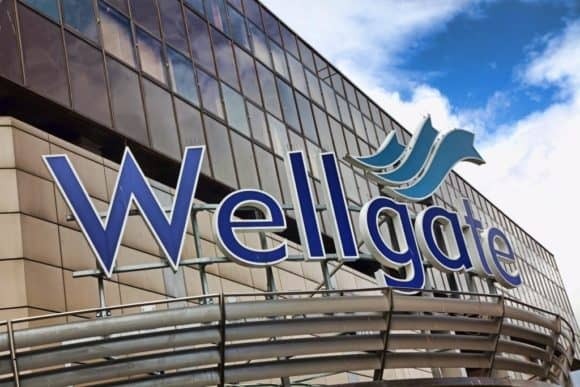 Peter Aitken, Manager, Wellgate commented, “The opening of TJ Hughes marks a pivotal stage in Wellgate’s future and it’s fantastic to see their confidence in both Wellgate and the city centre as a whole. “Not only will this national department store breathe new life into the centre, especially on the run-up to our busiest time of year, but also provide a catalyst for other businesses to invest, and a boost to local employment.